2019 is shaping up to be a busy year for us with 3 tours on the go. Battle of Britain & D-Day is our UK/France tour this year, a repeat of the very successful 2016 trip. Departing on the 10th July which coincidently was the start of the battle, we tour the UK & Normandy taking in as many sights and museum as we can to give us an insight to the period in 1940 that changed the direction of the war. The name comes from a speech by the Prime Minister Winston Churchill when, after Germany had overrun France, he said that "the Battle of France is over. The Battle of Britain is about to begin." After Germany and Hitler had conquered most of Europe, including France, the only major country left to fight them was Great Britain. Germany put together a plan called Operation Sea Lion to invade Great Britain, but first they needed to destroy the Royal Air Force. They began bombing Britain to prepare for the invasion. The Battle of Britain started on July 10th, 1940 and was the first battle in history waged almost exclusively in the air and included the earliest use of radar in combat. We will learn more at the RAF Radar Museum. It is estimated that around 1,000 British planes were shot down during the battle, while over 1,800 German planes were destroyed. The Spitfire made up only a third of the RAF so the less glamourous Hurricane was responsible for the vast majority of Luftwaffe losses. The leader of the Luftwaffe was Hermann Goring. The leader of the Royal Air Force’s Fighter Command was Sir Hugh Dowding. 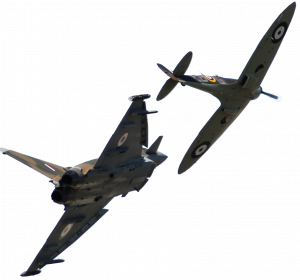 On September 15, 1940 now known as Battle of Britain Day, there was a huge fight in the skies and Britain made it clear that they would not be defeated. By the end of October Hitler had postponed the invasion. However, bombing by the Germans continued until May 1941, in a period called the Blitz. At one point London was bombed for 57 nights in a row. Hitler finally stopped bombing London because he needed his bombers to invade Russia. With an overnight stop in Singapore, we arrive in the UK in the evening, and after a good nights sleep, have an easy day to explore Cambridge or head out to the Imperial War Museum, Duxford for a pre visit. It’s the Friday before airshow weekend and there will be arriving aircraft and a general buzz about the airfield as excitement builds. This evening is our welcome dinner. On Saturday we send the day at Flying Legends, one of our favourite airshows and a great way to start the tour. You can see more about the day here. On the Sunday we head up to Norfolk stopping at Fenland & West Norfolk Aviation Museum with its wide-ranging displays of aircraft and aviation archaeology from World War I to the Falklands and Iraq wars. Then on to Muckleburgh Military Museum the UK’s largest privately-owned military collection, where we also have a tour of the old Weybourne Anti-aircraft Camp site. 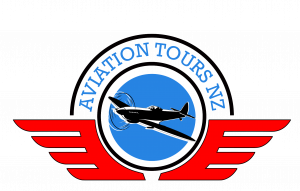 We will see the airfield, the anti-aircraft guns, the RAF radar installation and fine views of the Norfolk coast. We stay in Norfolk for a few days and then head down to Suffolk, on the way stopping at The RAF Air Defence Radar Museum which is located on the site of the world’s longest continuously operating radar, and provides a unique window into the history of radar. Also we explore a varied collection of aircraft and artefacts at the Norfolk & Suffolk Aviation Museum with exhibits on Air-Sea Rescue, Local Bomber Command Missions, Aviation Archaeology, Decoy sites & much more. Before leaving the area we will take in Parham Airfield Museum which is situated on an old World War II United States Air Force Station with the original control tower. It houses the 390th Bomb Group Memorial Air Museum which pays tribute to the 740 servicemen killed or 'Missing in Action' from this airfield and the further 754 who were taken as Prisoners of War. The Museum of the British Resistance Organisation provides an insight into 'Britain's Secret Army', and sheds light on "Britain's best kept war secret". We will then visit the graves of Kiwi pilot Ray Hanna and his son Mark in the Parham Church cemetery. On our last trip here in 2016 we were pleasantly surprised to be met by Mrs Hanna who met us at the church. On our way across to Oxford we spend the day at RAF Hendon, dedicated to telling the story of the RAF and it’s people. Five major buildings and hangars with warplanes from the past 100 years: restored WWI fighters, seaplanes, WWII fighters and bombers, and jet aircraft from the Cold War to the Harrier and the F-35. A leisure day in Oxford could include a trip to Blenheim Palace, a monumental country house, birthplace and ancestral home of Sir Winston Churchill. The following day is the Royal International Air Tattoo at RAF Fairford, the largest military airshow anywhere in the world. Up to 8 hours of flying and miles of static displays. Historic aircraft to fast jets, a truly spectacular international airshow. We will have the comfort of Cotswold Club passes here for the day and you can read more about the show here. Kent is our next stop and Chartwell House is a favourite amongst our guests. Chartwell was the much-loved Churchill family home for 40 years. The rooms remain much as they were when he lived here, with pictures, books and personal mementoes evoking the career and wide-ranging interests of a great statesman, writer, painter and family man. We enjoy the house, the gardens and the studio which houses a large collection of his paintings. Then it’s on to the Spitfire and Hurricane Museum and right opposite you will find the RAF Manston History Museum. As well as a good collection of aircraft, this small museum details RAF Manston’s interesting history. Also in Kent we delve deep within Dover's White Cliffs and under Dover Castle to witness the drama in the Secret Wartime Tunnels. A short walk through the woods takes us to the Bleriot Memorial, marking the spot where the first cross channel flight landed in 1909. We visit the Kent Battle of Britain Memorial and The Wing which houses The Scramble Experience, showing something of what it was like for The Few in 1940 and we explore the nearby Kent Battle of Britain Museum, Hawkinge. Our third major event in this tour is the War & Peace Revival. We spend the day at the Revival, see more here, the largest gathering of military vehicles on the planet, plus militaria collectors fair and living history re-enactments from the First World War to more recent conflicts. The revival hosts around 4000 military vehicles including tanks, armoured personnel carriers, armoured cars, amphibious vehicles, motorcycles, as well as light, medium and heavy military wheeled vehicles. The next day we take an early cruise ferry to Caen. On arrival we visit Pegasus Bridge following the footsteps of Operation Deadstick, the first troops to arrive for the liberation of France in 1944, before heading into Bayeux. Codenamed Operation Overlord, the battle began on June 6, 1944, also known as D-Day, when American, British and Canadian forces landed on five beaches along a 50-mile stretch of the heavily fortified coast of France’s Normandy region. The invasion was one of the largest amphibious military assaults in history and required extensive planning. Prior to D-Day, the Allies conducted a large-scale deception campaign designed to mislead the Germans about the intended invasion target. By dawn on June 6, thousands of paratroopers and glider troops were already on the ground behind enemy lines, securing bridges and exit roads. The amphibious invasions began at 6:30 a.m. The British and Canadians overcame light opposition to capture beaches codenamed Gold, Juno and Sword, as did the Americans at Utah Beach. U.S. forces faced heavy resistance at Omaha Beach, where there were over 2,000 American casualties. However, by day’s end, approximately 156,000 Allied troops had successfully stormed Normandy’s beaches. Less than a week later, on June 11, the beaches were fully secured and over 326,000 troops, more than 50,000 vehicles and some 100,000 tons of equipment had landed at Normandy. The Germans suffered from confusion in the ranks and the absence of celebrated commander Rommel, who was away on leave. Hitler refused to release troops for a counter attack and the effective Allied air and naval support meant that by the end of June the port of Cherbourg had been taken and opened France up to the allied forces. 2 months later Paris was liberated, and the Normandy invasion had turned the tides against the Nazis. By Spring 1945 with the Russians coming in on the Eastern Front and the Allies having liberated France, Hitler realised it was all over and on April 30th committed suicide, leaving his successor Donitz to surrender a week later, VE Day 8th May. The Normandy landings have been called the beginning of the end of war in Europe. We have 6 days in Normandy, visiting each of the main beaches, Gold, Juno, Sword, Utah & Omaha, gaining insight into the bravery of the men who led the invasion. We begin at Utah. Built on the very beach where the first American troops landed on June 6, 1944, the Utah Beach Museum recounts the story of D-Day in 10 sequences, from the preparation of the landing, to the final outcome and success. This comprehensive chronological journey immerses visitors in the history of the landing through a rich collection of objects, vehicles, materials, and oral histories. Here we can admire an original B26 bomber, one of only six remaining examples of this airplane still in existence worldwide. The Airborne Museum is close by at St Mere Eglise which became famous because of the paratrooper John Steele, whose parachute snagged on the belfry of the church on June 6, 1944, leaving him suspended in the air. Our day at Omaha Beach will be both emotional and intriguing. The American Cemetery will be a very moving start to the day, followed by the Overlord Museum. We will stop for lunch at Omaha Beach and then explore Pointe Du Hoc, which was the setting for the film The Longest Day telling the story of the US Army Ranger group attempting to scale & capture the beach head. Then we have our guided tour of Maisy Battery where we will hear about the cover up at Omaha Beach, the intriguing story of the discovery of a buried battery that has been excavated and that brought up with it a mystery that has yet to be fully solved. The next few days see us exploring Arromanches and the remains of the Mulberry Harbour, the town of Bayeux and the famous Tapestry and there is an option to visit the incredible Benedictine Abbey of Mont-Saint-Michel, one of the most remarkable examples of mediaeval religious and military architecture. We finish our Normandy adventures at Memorial Caen, the biggest museum in the area covering WW11 through D-Day to the Cold War. On our return to Portsmouth, there will be time to check out the Historic Dockyard with the legendary Mary Rose, Warrior and Victor, and the following day we make our way towards Heathrow. Our final day includes the Battle of Britain Bunker and Visitor Centre, the underground operations room at RAF Uxbridge, formerly used by No. 11 Group Fighter Command. It houses a state-of-the-art exhibition detailing the development of the UK’s air defence system from the First World War to the end of the Second World War. We learn the key moments of history that shaped Britain’s air defence and led to the construction of the bunker and listen to first-hand accounts from people that worked in the bunker during its finest hour in 1940. We finish the day with Bentley Priory, a Grade II* listed Mansion House in Stanmore, Headquarters Fighter Command during the Battle of Britain. The museum tells one of the most important narratives of modern history – how the Battle of Britain was won, and explores how technology, leadership and courage forged victory, enabling Britain’s darkest hour to also be her finest hour. Along the way there will be plenty of time to explore the historic towns we stay in, and if you are bringing a partner who would rather do other things, there are many opt out days when we can make alternative arrangements for them. We check the group in at Heathrow for the return flights or see you off on your onward adventures. Your tour hosts will stay on in the UK while the group flies back together. Wherever your arrangements take you, we hope that you will be enriched by your experiences and will have gained further understanding of the events that took place during 1940 Battle of Britain, and the 1944 D-Day Invasion. 2019 is a significant year - the 75th anniversary of D-Day, the beginning of the end of the war.